How Can I Collect Rainwater to Automatically Water a Garden? Here’s a great time saver: use a Garden Watersaver Downspout Diverter to automatically water an outdoor garden or flower bed that is covered by a roof or an awning! To water automatically, all that is required is a downspout diverter and soaker hose (those hoses with all the holes in them) placed in the area that you want watered. Most soaker hoses have pressure reducing washers (as soaker hoses cannot take much pressure or they burst); these washers must be removed when using them with the Garden Watersaver Diverter. The system shown here is ideal for a greenhouse or to use in a location that rainfall does not reach, such as under roof eaves, awnings or canopies. Soaker hoses can be placed above the ground, but when they are used in a garden or flower bed (as opposed to on lawns), it is advised that you bury the hose 1- to 3-inches underground. Note: The diverter unit must be installed at least 8 feet high on the downspout to generate enough water pressure to reach the end of the hose. The higher the diverter is placed, the more water pressure created, and the wider the water spread will be. 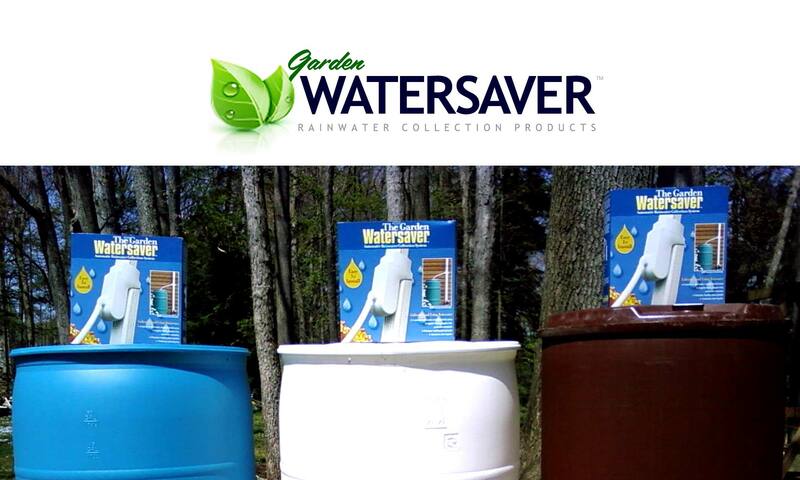 Learn more about the Garden Watersaver Downspout Diverter here.